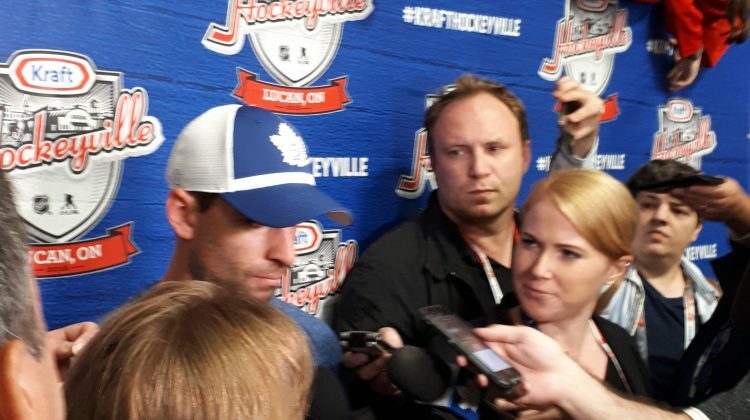 Toronto Maple Leafs forward John Tavares is interviewed at Kraft Hockeyville 2018 in Lucan. Photo suppled by Casey Kenny-My Stratford Now Reporter. Lucan has been taken over by the hockey world. Lucan was awarded the title of Kraft Hockeyville 2018 in an online contest back in March which brings with it the right to host an NHL pre-season hockey game. The game features the Ottawa Senators and the Toronto Maple Leafs and fans packed the Lucan Community Memorial Centre today (Tuesday) to watch both teams arrive by bus and then take part in game-day skates. 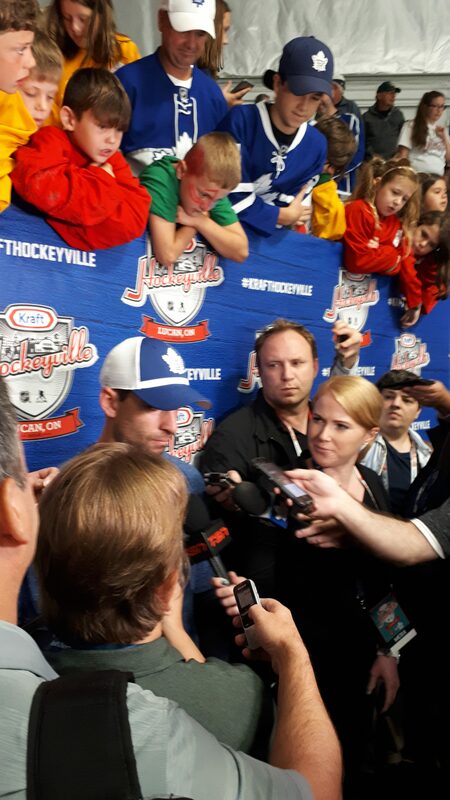 Elliotte Friedman is with Hockey Night in Canada and says games like this show how much hockey matters to Canadians. Lucan is the 12th winner of the Kraft Hockeyville Program and they also received $250 thousand for arena upgrades towards the memorial centre.